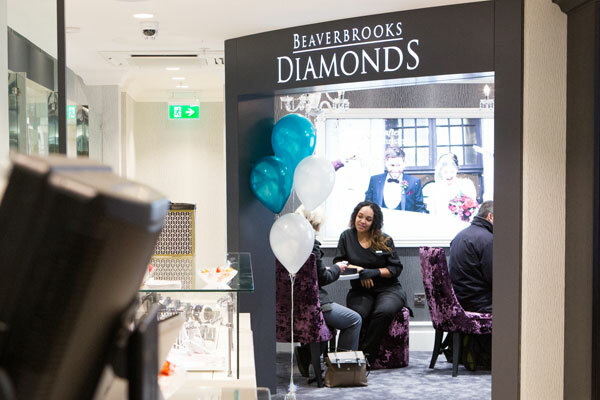 For those extra special jewellery or watch purchases, enjoy an in-store Beaverbrooks appointment with one of our expert advisors. We believe that every jewellery and watch purchase should be a wonderful experience, however, we know for those extra special purchases, whether it’s for a romantic proposal, finding your dream wedding rings, a birthday gift or any special occasion, you may need a little more help and guidance. That’s why we are happy to help with our in-store appointments. Take a seat and relax whilst one of our friendly advisors will offer expert advice to help you find the perfect gift or even a special treat for yourself. Appointment booking is available at selected stores and designer boutiques nationwide, all of which are listed below. To get started, simply select the store of your choice. 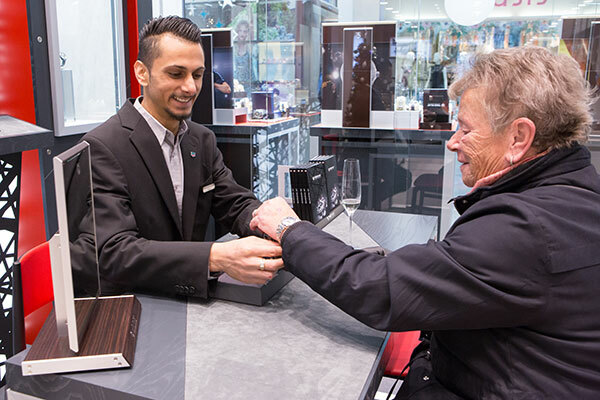 On the store page, choose which kind of appointment you would like between watches, diamond rings, wedding rings or a brand if you’ve selected one of our designer boutiques. Next, simply select a day and time that is convenient for you. After that all you need to do is confirm the appointment and we’ll see you in store!